Over three days, our brand-new tutorial will not only teach you the essential practical valuation techniques, it will also prepare you to take this knowledge forward and become an NAJ Institute Registered Valuer. You will learn alongside a maximum of twelve individuals and our experienced tutor will also provide one-to-one time. You will receive a folder containing information that you have learnt over the three days, plus useful reference documents that can go towards building your own comprehensive valuation portfolio. From beginning to end I thoroughly enjoyed the whole experience. The amount of knowledge I have gained over the three days is phenomenal and given me a greater understanding of my current studies - the C.A.T. course. I will definitely use all my notes and knowledge gained over the past few days to succeed in the course and any further education. Both David & Barry were great tutor's for our class and I hope to stay in contact with them as I pursue my career path of hopefully one day becoming an IRV. The 1-to-1 tutor time gave me the opportunity to gain some career guidance on which paths to follow on completion of my C.A.T. course, which I can't wait to get started on. It was lovely to get a 'hands on' experience with the different tools of the trade and the gemstones and jewellery. Valuing antique, rare jewellery, discussing the market data comparison approach as opposed to the cost, deconstructive component parts approach. Assessing and identifying the method of manufacture, handmade, assembled cast and cad cam mounts - pricing accordingly. 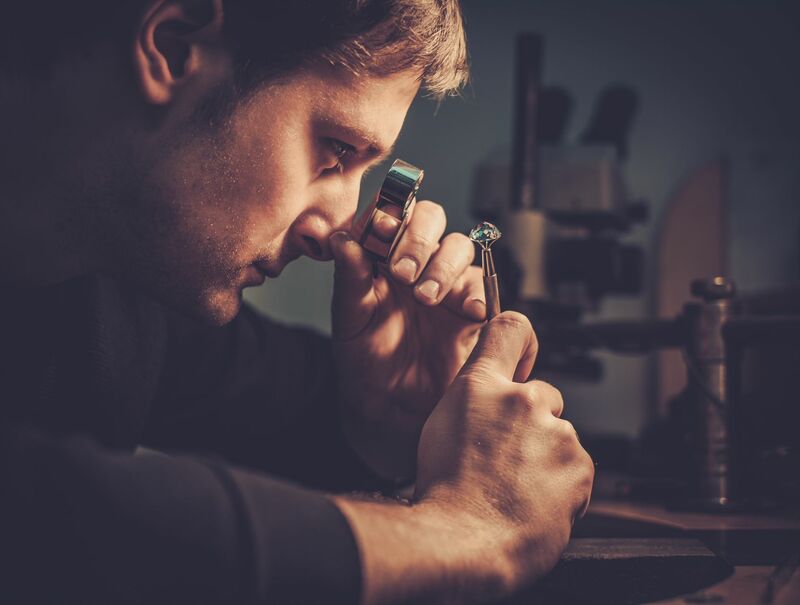 Identifying Hallmarks, hallmarking law present and past historical relevant hallmarking amendments. Sourcing pricing information and data.